Proven research is now indicating that receiving Chiropractic adjustments to the pelvis can increase vertical jump height. This new research further solidifies the stance of many professional and collegiate teams with providing Chiropractic care for their athletes. In addition to injury prevention this research proves that chiropractic care results in an increase in sports performance. [Purpose] This study aimed to investigate the effect of pelvic adjustment on vertical jump height (VJH) in female university students with functional leg length inequality (FLLI). [Subjects] Thirty female university students with FLLI were divided into a pelvic adjustment group (n = 15) and a stretching (control) group (n = 15). [Methods] VJH was measured using an OptoGait. [Results] After the intervention, jump height improved significantly compared with the pre-intervention height only in the pelvic adjustment group, while FLLI showed statistically significant improvement in both groups. [Conclusion] Pelvic adjustment as per the Gonstead method can be applied as a method of reducing FLLI and increasing VJH. The pelvis, a structure located between the hip joint and the lumbosacral spine and attached to several muscles, regulates the movement of the hip joint and lumbosacral spine. The position of the pelvis is the most critical factor determining the sagittal alignment and posture of the human body). Only when the pelvis is in the neutral position can be in the right posture, move the upper and lower body in the dynamic posture, and improve daily movements and ambulatory ability). Functional leg length inequality (FLLI) worsens due to pelvic tilt in the medial plane and pelvic rotation in the sagittal plane). Therefore, FLLI might be improved by pelvic adjustment. High-velocity and low-amplitude (HVLA) adjustment has been widely utilized as a general chiropractic adjustment method). Many studies have indicated that leg length inequality (LLI) causes posture alteration), limiting exercise and causing tension of the muscles and other soft tissues5). LLI is accompanied by several clinical symptoms6) such as lumbar pain) and hip pain). Correcting leg length inequality reportedly reduces pain, increases mobility, and improves posture). Vertical jumping is practiced to enhance the muscular strength and endurance of the leg and serves as a barometer of muscular strength). There have been studies in which plyometric training was undertaken to improve leg muscle strength), dynamic stretching was applied after jogging for 5 minutes to improve vertical jump height (VJH), or HVLA manipulation was performed for talocrural joint dysfunction). However, there has been no study in which FLLI was corrected and VJH was measured as a barometer for leg muscle strength. Many studies have assessed the effect of pelvic adjustment on FLLI), posture), pressure on the foot, and balance). However, no study has investigated the changes in FLLI and VJH resulting from just a single adjustment. Therefore, this study aimed to assess the immediate effects of a single pelvic adjustment on FLLI and VJH in female university students with FLLI. A total of 30 female university students with an FLLI of more than 10 mm between the left and right legs were selected and randomly assigned to one of two groups: the pelvic adjustment group (adjustment group, n = 15) and control group (stretching group, n = 15). The exclusion criteria were as follows: anatomical LLI; degenerative osteoarthritis; muscle, bone, or nervous system problems; ankle joint, knee joint, hip joint, or lumbar pain; limited range of motion due to burn or postsurgical scarring; and regular leg exercise. This study was approved by Korea Nazarene University’s Institutional Review Board, and the safety of all subjects was protected during all parts of the experiment. All subjects understood the purpose of this study and provided written informed consent prior to participation in accordance with the ethical standards of the Declaration of Helsinki. The age, height, and weight of the subjects in the adjustment group were 23.5±4.7 years, 163.0±5 cm, and 54.1±5 kg, while those in the stretching group were 22.2±6.3 years, 162.7±6 cm, and 53.1±6 kg, respectively. Gender was analyzed using the χ2 test, while age, height, and weight were analyzed using the independent t-test. As these analyses detected no statistically significant differences (p>0.05), the two groups were deemed identical. The pelvic adjustment performed in the adjustment group consisted of an HVLA technique administered in the prone posture in accordance with Gonstead’s theory. Subjects were instructed to lie prone, their pelvic height was checked, and the posterior-inferior innominate bone was given an anterior-superior impact while the anterior-superior pelvis was given a posterior-inferior impact. When making these impacts, the therapist put one of his hands on top of the other, placed them on the posterior-superior iliac spine or the ischial spine, and then gave the impact using his own weight, gravity, and acceleration). This adjustment was performed 3–5 times by one skilled physical therapist with more than 10 years of clinical experience. The control group stretched the backbone erector, rectus abdominis, iliac muscle, psoas major, quadriceps muscle, leg adductor, and quadratus lumborum adjacent to the pelvis in order to resolve muscular imbalance that could further the pelvic imbalance. In the process, the therapist assisted the subjects in performing additional height training for each muscle and maintaining each posture at the maximum height for 10–15 seconds. The subjects then resumed the initial posture, rested for 5 seconds, and repeated the stretching one more time. Stretching was done three times per posture for a total of 15 minutes). For leg length measurement, subjects lay straight on a bed, and the tape measure method (TMM) was used to measure the leg from the anterior superior iliac spine (ASIS) to the medial malleolus. Beattie et al. reported that LLI as measured by the TMM did not show a significant difference from radiological findings. We were therefore confident in the reliability of using the TMM for measuring leg length). The measurement started from the ASIS so that pelvic bone-related problems such as pelvic tilt and pelvic asymmetry could be included. We used an OptoGait (Microgate Srl, Bolzano, Italy), a system for optical detection, to analyze ambulation and measure VJH. On its signal-sending bar, there are 96 LEDs that communicate via an infrared frequency. The signal-receiving bar has an identical number of LEDs. We installed the signal-sending and signal-receiving bars of the OptoGait one meter apart on a flat surface. 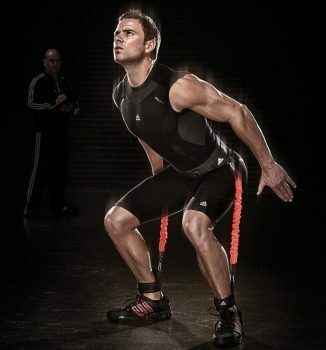 When a subject performs a vertical jump between the bars, the bars calculate the time at which the subject touches the floor or stays in the air and communicates this information by sending and receiving 1,000 signals per second, generating accurate data. Based on this basic data, the OptoGait software calculates the precise VJH. Leg length and VJH were measured before and after the intervention. The measured data were analyzed using the statistics program SPSS 12.0 KO (SPSS, Chicago, IL, USA), and the collected data are presented as averages and standard deviations. The significance of pre- and post-intervention differences was tested using the paired t-test, and the significance of between-group differences was tested using the independent t-test. The p-value α was set at 0.05. In the pre- and post-intervention comparison, VJH improved significantly only in the adjustment group, while FLLI improved significantly in both the adjustment group and the stretching group (p<0.05) (Table 1). When comparing the pre-intervention data, post-intervention data, and changes between the pre- and post-intervention data, VJH showed statistical significance only for the changes between the pre-and post-intervention data, while FLLI showed statistical significance for post-intervention data and changes between the pre- and post-intervention data (p<0.05) (Table 2). The pelvis supports the abdomen, connects the spine and legs, and is involved in transferring weight from the spine to the legs when a person stands up, maintaining a straight posture and enabling smooth arm movements). Due to their erect ambulation, human beings are exposed to gravity and can thus be subject to a malalignment of the pelvis and legs affecting posture, ambulatory pattern, and balance. LLI is easily observed clinically and causes functional disturbance of normal biomechanics). Winter and Pinto reported that pelvic obliquity is caused by LLI), and Mccaw and Bates explained the relation between biomechanics and spinal deformity due to LLI). Defrin et al. reported that when a shoe insert was used in 22 chronic back pain patients with LLI of 10 mm and less, pain intensity and muscular weakening were reduced), which appears to be due to reduced pain and muscular weakening attributed to decreased pelvic tilt resulting from LLI adjustment. On the basis of previous studies on pelvic adjustment, Alcantara et al. reported that following adjustments using fast and slow speed amplitudes in patients with sacroiliac joint obliquity, pain was reduced, and patients could resume daily life and work). Park et al. reported that balance in 20 elderly men was improved through pelvic adjustment according to the Gonstead method). In this study, FLLI was reduced after pelvic adjustment, a finding similar to a previous study in which pelvic adjustment helped reduce FLLI and the pressure difference between soles). In this study, stretching was not associated with increased VJH, while pelvic adjustment was. In a previous study by Ryan et al. in which subjects jogged for 5 minutes in order to improve VJH, a barometer for leg strength, and then performed dynamic stretching, VJH was increased as compared with a control group that only jogged for 5 minutes). In the present study, it is suspected that VJH did not increase because only static stretching was applied. Hedlund et al. reported that VJH showed a statistically significant increase following 3 weeks of chiropractic HVLA manipulation in 22 female handball players with talocrural joint dysfunction, which is similar to the findings of the present study). Pelvic adjustment balances the left and right pelvic height and left and right anterior and posterior rotation of the hip bones, which, in turn, leads to FLLI improvement. It also balances the left and right muscle lengths of the rectus femoris and sartorius, which are involved in the hip bone’s anterior rotation, and the hamstring and gluteus maximus, which are involved in posterior rotation. This seems to explain the improvement in vertical jump ability. We recommend that pelvic adjustment be applied for decreasing FLLI and increasing VJH, a barometer for leg muscle strength, in the future. 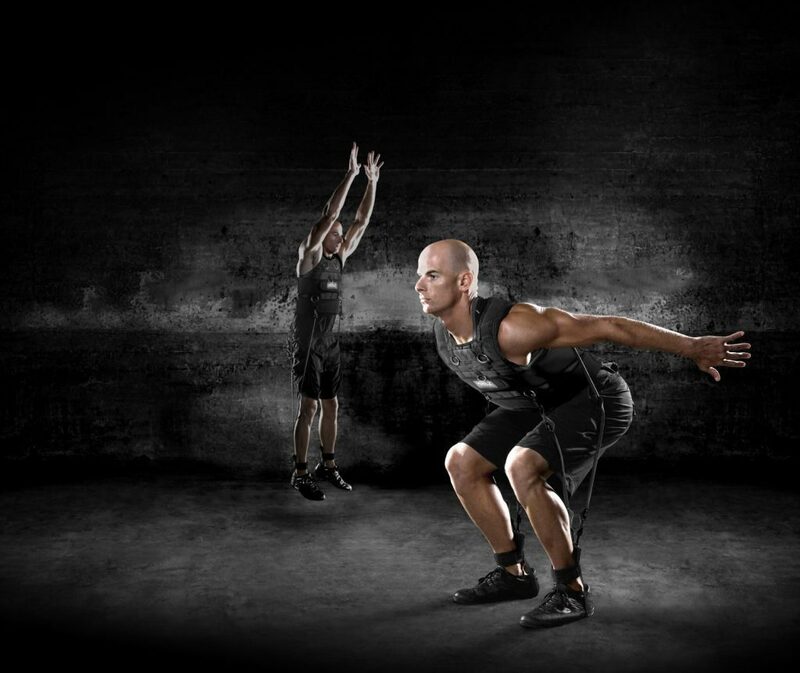 Research now indicates that receiving Chiropractic Adjustments to the pelvis can increase vertical jump height. This research solidifies many professional and collegiate teams that provide chiropractic care for their athletes. In addition to injury prevention this research proves that chiropractic care results in greater athletic performance.